THIS 2019 Dodge Grand Caravan HAS GONE THROUGH A 110 POINT SAFETY INSPECTION BY OUR A.S.E CERTIFIED MECHANIC! Thank you for visiting another one of Bayside Chrysler Jeep Dodge's online listings! Please continue for more information on this 2019 Dodge Grand Caravan SXT with 13,600mi. Beautiful color combination with White Knuckle Clearcoat exterior over Black interior making this the one to own! Based on the superb condition of this vehicle, along with the options and color, this Dodge Grand Caravan SXT is sure to sell fast. 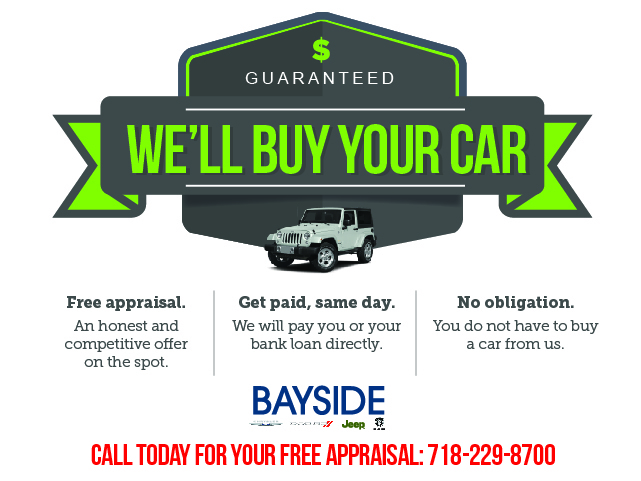 Don't hesitate to contact Bayside Chrysler Jeep Dodge. This Dodge Grand Caravan won't last long. At Bayside Chrysler Jeep Dodge, we strive to provide you with the best quality vehicles for the lowest possible price, and this Grand Caravan is no exception.